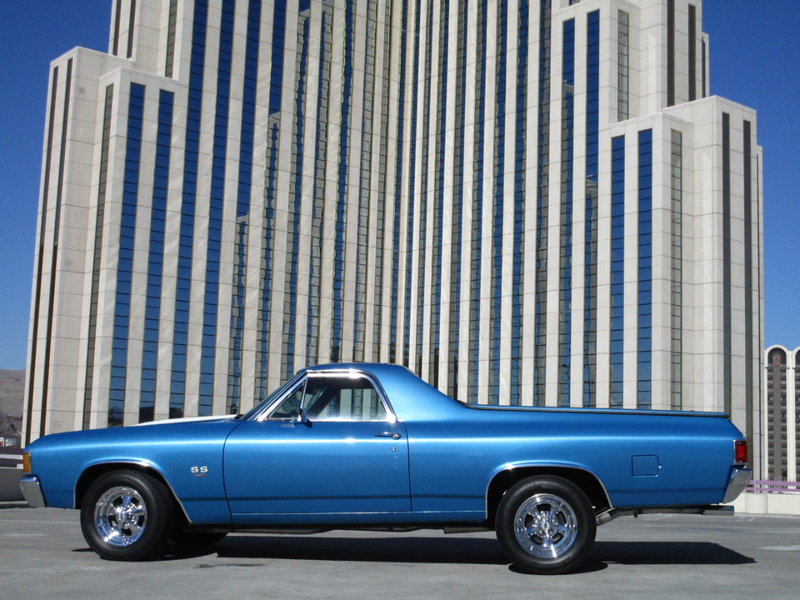 This is one beautiful 1972 El Camino (SS Badging), with a 454+ cu. in. engine and a Turbo 400 Turbo with 2400 B&M Torque Converter. It has a 12 Bolt Rear with 373 Richmond gears, Eaton positraction and B&M Ratchet Shifter. Flow master American thunder exhaust, ceramic coated headers, Derale 4000 CFM Dual Elect Radiator Fans and aluminum radiator. The exterior paint is in great condition and the interior is like new. Everything works as it should, and has power steering, power brakes. No air conditioning. Runs and drives excellent.